Company/Brand Claim: Smudge-proof, crease-proof, fade-proof. 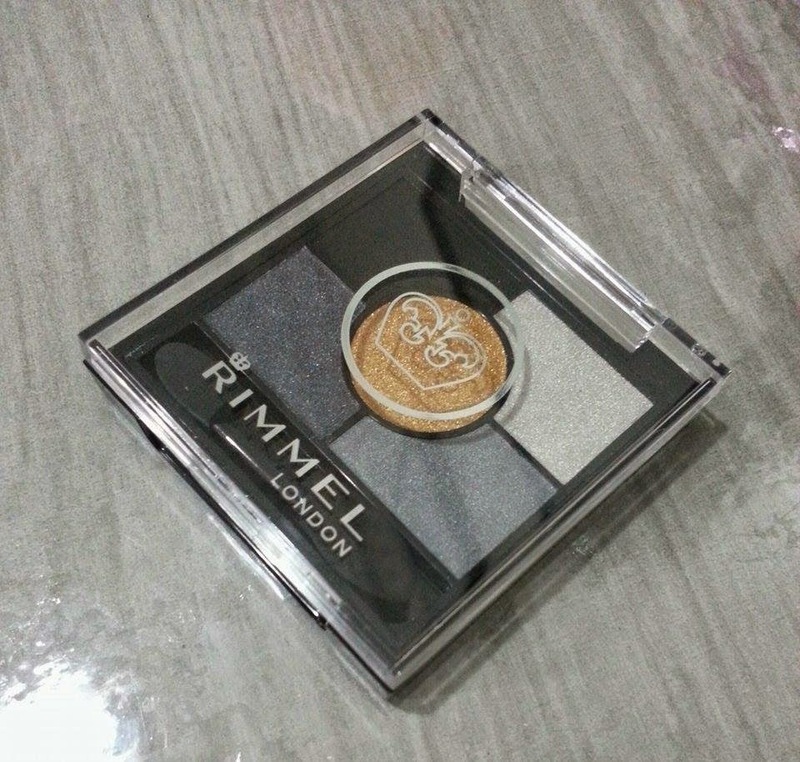 Result: I received the Glam Eyes HD in my Rimmel London Ahlan! 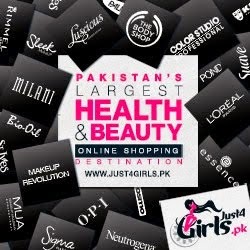 Editor's Choice Limited Edition 3 Piece Set which also includes the Scandal Eyes Rockin Curves Mascara in 001 Black (read review) and the Scandal Eyes Waterproof Kohl Kajal in 001 Black (read review). It's a cute little case which contains 5 bold eye shadows to create glamorous looks specially for a night out. 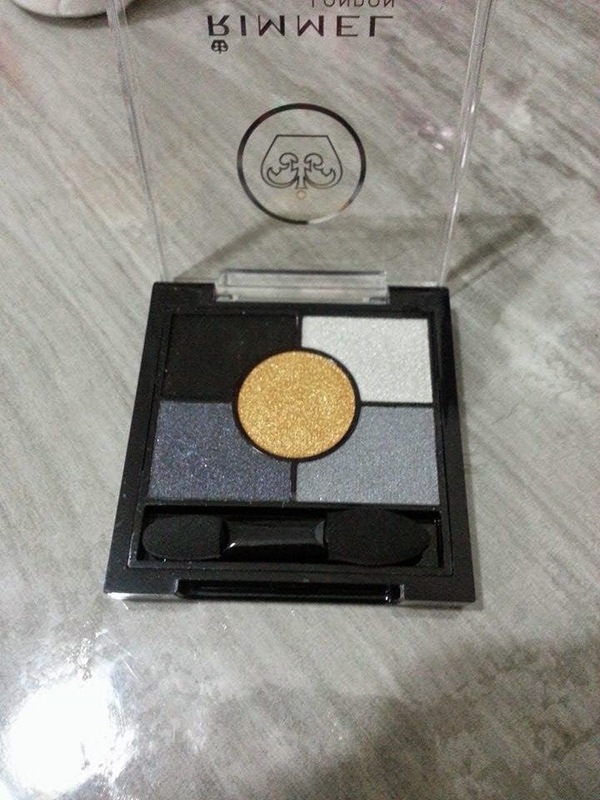 As seen the case contains a total of 5 eye shadows one of which is silver, 2 shades of grey, a black and a sultry gold in the center. The packaging is very basic and most of Rimmel's eye shadow and blush products are packaged the same. 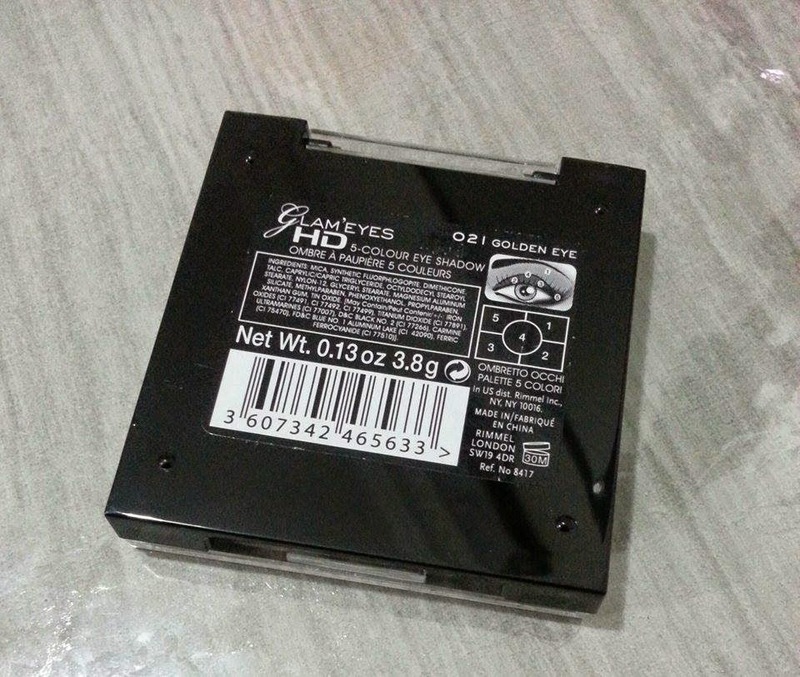 It snaps open and close easily but the lid is plastic and is prone to breakage if it comes under pressure. So if you intend to carry it on your purse make sure it lies somewhere safe. It comes with a small 2 way applicator with one side for overall eye shadow application and the other narrow side for application in the inner and outer corners of the eye. At the back of the case the shades are labelled with numbers and a look suggested at the top corner. 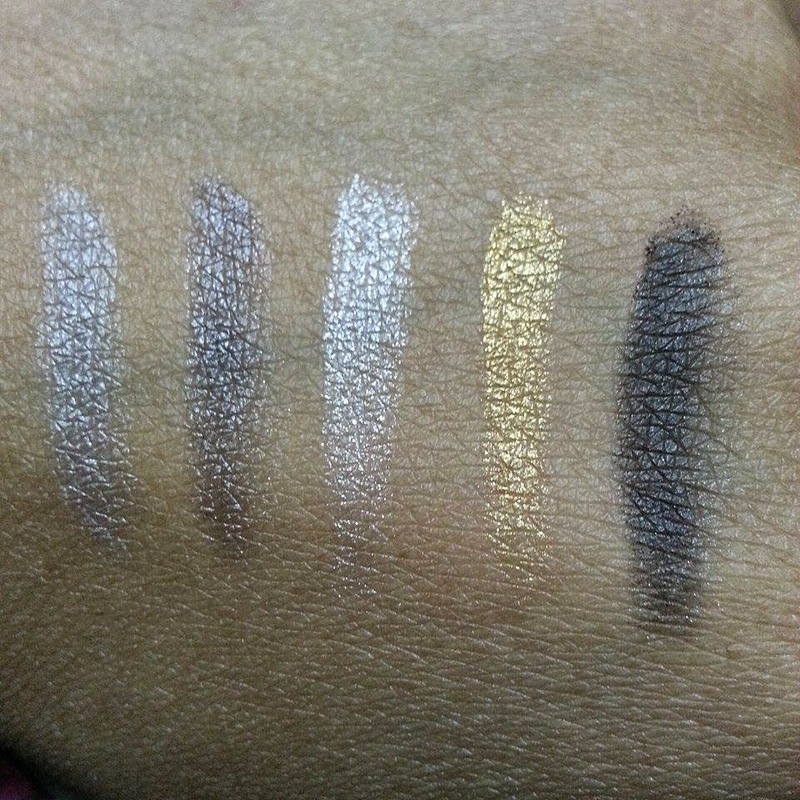 As for the eye shadows, they're pressed and super pigmented when swatched. The golden one is my favorite. Except for the black all others are shimmery and have a slight creamy consistency which makes them easy to apply and blend whereas, the black is matte. 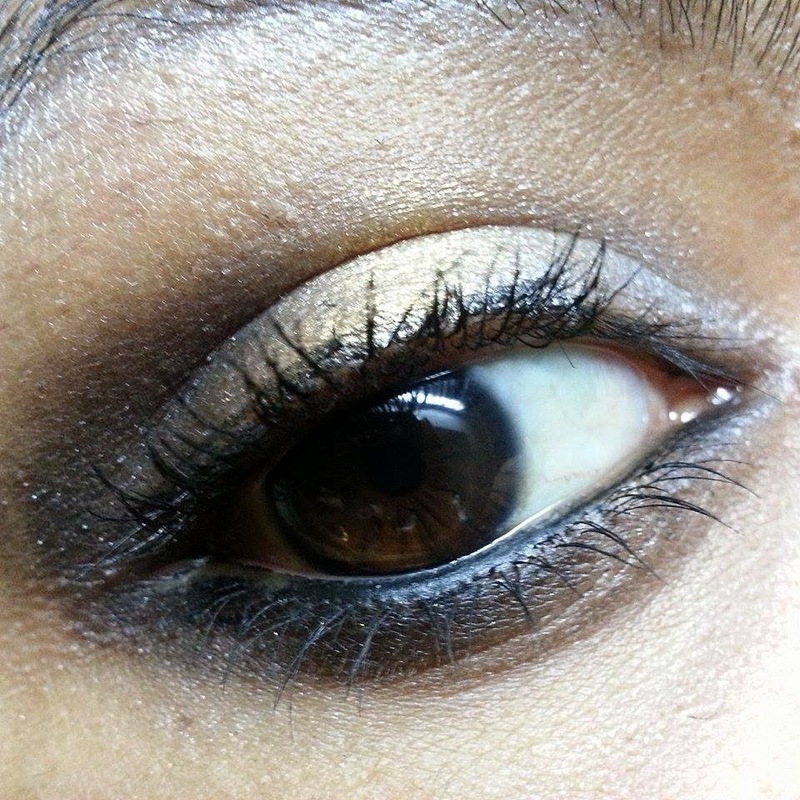 I didn't use primer when I did my look, but I think one is needed as one of shadows faded. They don't smudge at all or crease but the no fading claim falls flat. I haven't used them wet and I think a primer will do a better job. The applicator is good to use for a few looks but for a cleaner outcome a brush is a must have for these shades. They stay on for a few hours and gradually start to lighten. You can create a variety of looks with this little palette specially experimenting with smokey eyes. Cons: Primer needed for better pigmentation and staying power. 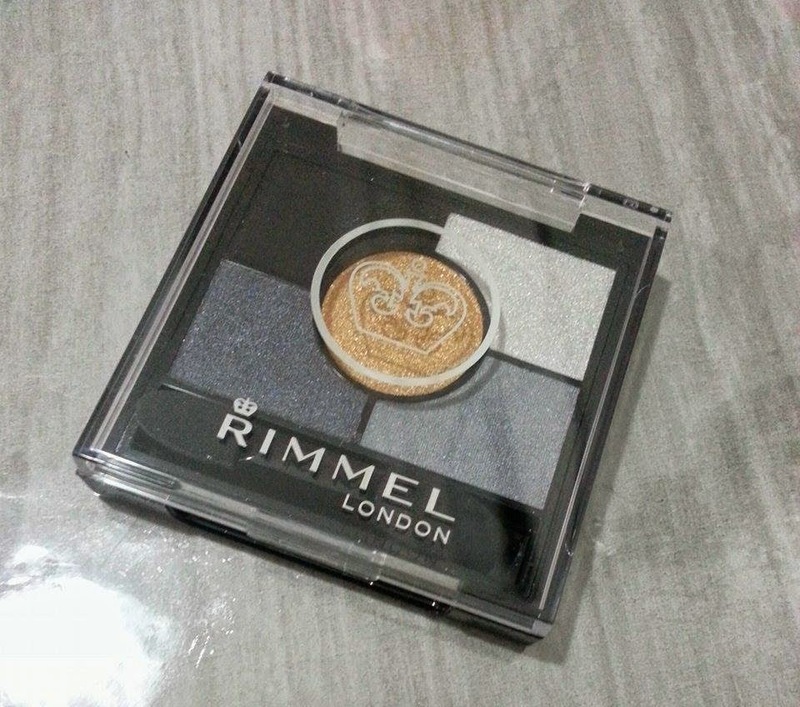 The Rimmel Glam Eyes HD 5 Colour Eye Shadow comes in 4 shades and each case contains 3.8 grams of product. 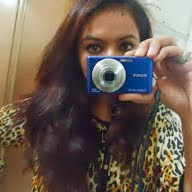 Conclusion: The colors are beautiful and it's fun to play around with them. A little focus on quality will get this palette a better rating. Recommended? Yes. Following the labelled instructions on the back of the palette I created this look. 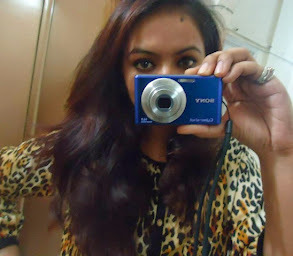 Pardon me for the budged eye liner.